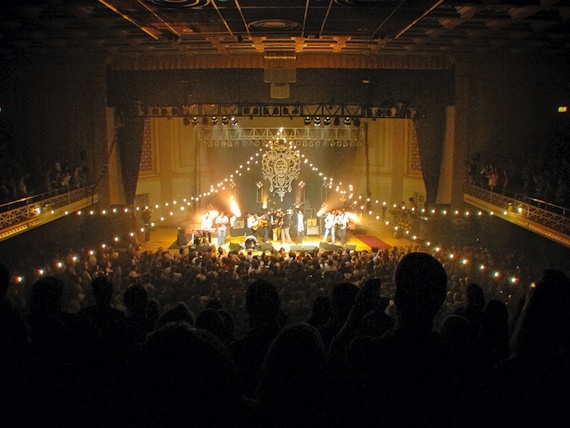 Pictured above, Mumford & Sons perform to a packed house at WMA. Nashville’s War Memorial Auditorium, which celebrates its 88th birthday this month, has been outfitted with a state-of-the-art sound system by Brantley. The new upgrades were designed to accentuate the venue’s natural acoustics and provide an optimum listening experience for concert-goers. The venue’s sound system upgrade includes permanent rigging points to fly the sound system, a line array speaker system that provides directional sound, stage drapery to eliminate sound reflection, and absorption panels all around the venue and on the ceiling. Additional upgrades will roll out over the next few months. 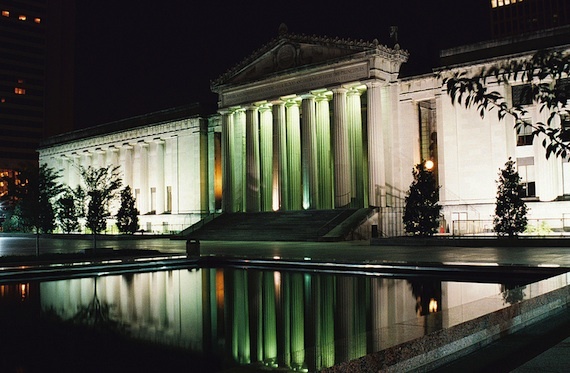 The War Memorial Auditorium was originally built to honor the 3400 Tennesseans who died in World War I and has been the performance home for the Nashville Symphony and the Grand Ole Opry. Performers like Ray Charles, KISS, David Bowie, and the Eagles have all crossed its stage at one point or another over the past eight decades, and Dolly Parton and Kenny Rogers recently filmed the video for their new song, “You Can’t Make Old Friends,” at the concert hall. It was host to the Music City Eats Festival’s Tom Petty & The Heartbreakers Petty Fest tribute concert last weekend, and the upcoming feature film The Identical, which stars Ashley Judd and Ray Liotta, also shot scenes at the legendary venue. War Memorial Auditorium was given the Gold Medal Award, the highest honor bestowed by the American Institute of Architecture. 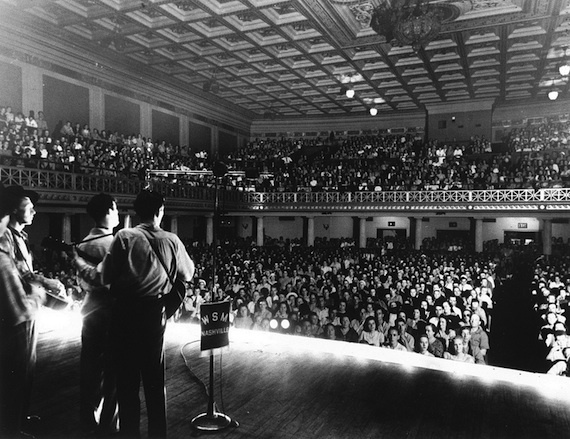 Nashville’s War Memorial Auditorium has rocked audiences for years, bringing performances by music artists from Ray Charles, Roy Acuff and Elvis Costello to Hollywood starlets and presidential candidates Richard Nixon, Lyndon Johnson and John F. Kennedy, who gave speeches on the courtyard steps.